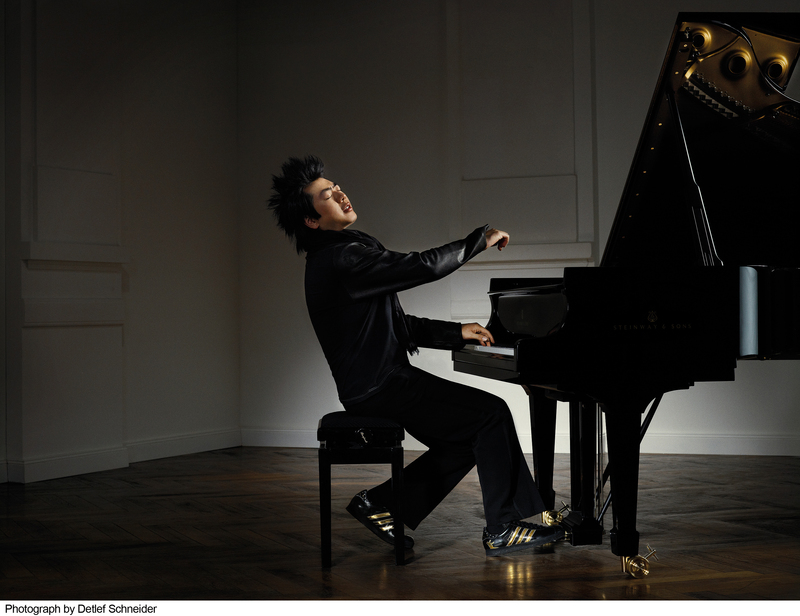 Lang Lang Inspires is a major project with virtuosic pianist Lang Lang from 17 – 22 May aimed at inspiring young pianists. As part of the project Southbank Centre has invited 100 young pianists to join Lang Lang on the Royal Festival Hall stage in a massed piano day event on Sunday 22 May. talks about the project and how it’s inspired him. ‘I hope I speak for everyone when I say this is a great opportunity to be involved in with one of the most eccentric pianists of our younger generation. I shall certainly treasure this event for years to come; hopefully it won’t be my first and last time playing at Royal Festival Hall! My first inspiration to take up the piano occurred relatively late compared to others my age aspiring to become concert pianists. I was around 12 years old when I began listening to classical music; I then chose the piano because of its encompassing range to imitate a full orchestra or a single instrument (hearing 50 ‘orchestras’ play at the same time on Sunday will certainly be interesting!). I developed my love of piano music and different composers through the form of etudes so I’m very pleased that Lang Lang chose to play Chopin’s Op.25 in his solo recital. My love of studies runs from Chopin to Liszt, Rachmaninov, Scriabin, Godowsky, Alkan and many others. Unfortunately I cannot play all of them yet! I first heard about the Lang Lang project a year ago when I searched on the Southbank Centre website to see the forthcoming concerts. I went through the entire year’s events and noticed the Lang Lang Massed Piano Day near the end. I entered, primarily to be able to meet other pianists my age, and secondly get the chance to play at Royal Festival Hall – although meeting Lang Lang appears somewhere between those two objectives! There will be a wide variety of repertoire played in the concert, from Bach to Khachaturian. The main piece will be the fourth movement of Beethoven’s Fifth Symphony. In the rehearsal on Saturday there may be few unexpected difficulties. The first could be getting everyone in time, which may be difficult for pianists who are not accustomed to playing in groups (although metronomes will help here). The second, getting a suitable sound out of every instrument to balance the texture in relation to how it would sound with Beethoven’s orchestration. It will be exciting to be able to learn from, and teach, others about the assortment of instruments the piano can imitate and the colours at the pianist’s disposal. Both Carl Czerny and Anton Rubinstein considered it to be capable of impersonating 100 instruments, and with the development of the piano I would believe it is now more. It will be a thrilling task exploring the sound world of the piano with others, and what better pianos to experiment on than Steinway grands! Thanks very much for your blog Drew. We look forward to your Royal Festival Hall debut performance on Sunday! I arrived at London’s Royal Festival Hall on Sunday, 22nd of May, expecting to see 10 pianos on stage, soon to be played by 101 pianists, obviously to be in rotation – so I thought. I was amazed when I walked into the concert area to see far more than 10 pianos. I started to count them but I was having difficulty by the time I got to 40. It was announced later that there were 51 Steinway grand pianos altogether. Each piano had two piano stools placed in front. Within a few minutes, the stage started to fill up with bodies – 2 to each piano. In all, there were 101 pianists, 48 of whom were 10 years old or younger – the eldest was 24. The forthcoming concert was introduced by a compere who introduce the esteemed star of the show, Lang Lang, China’s most famous person (Yundi Li, another concert pianist is the second most famous person in China – ahead of their politicians). The performers were selected from more than 500 applicants who were actually auditioned via samples of their work posted on You Tube. Amazingly, after the selection process, the successful applicants were coached and rehearsed via You Tube. Don’t ask me how that was done, I couldn’t begin. During the pieces where all pianos were being played simultaneously, not all were playing in unison; they were split much the same way as the various instruments in an orchestra would play. The initial piece, Marche Militaire in D by Franz Schubert, was played by Lang Lang’s Piano Orchestra, after which Lang Lang went on to introduce some individual performers to play solo on the big Model D Steinway (the one Lang Lang hand been using). The first soloist was a six year old boy called Alasdair Howell. He played Rondo Divertimento in D by Mozart (I bet most of his Lady Gaga loving friends can’t even pronounce this – BTW, GaGa is quite a pianist too as it happens). The next piece to be played was Nocturne in C# minor by Chopin. A guy sitting behind me (the conductor’s mate) said, “No way! There’s no way a ten year old can play this!” I thought, “Yes they can!” It’s the piece that is played at the start of the movie called ‘The Pianist’ which is about wartime in Poland. A couple of years ago, I saw on You Tube, a five year old Chinese girl called Tiffany Koo play this piece, in fact, she inspired me when I had previously given up on it. On this occasion, a ten year old girl named Faye Evans sat at the Model D.
This is the part that left me open mouthed – half way through the piece, some of the less learned members of the audience started to clap loudly (it only takes one, then the sheep follow). I thought, “WHAT ARE THEY DOING? IT’S NOT FINISHED!” This girl kept calm, kept her nerve and just carried on playing as if nothing had happened. Next came Chopin’s Etude in G flat, Opus 10 No 5 (Black Keys). This was played by 10 year old Jackie Campbell. It was followed by 10 year old Ziying Zhang who played Aaron Copland’s The Cat and The Mouse, Scherzo Humoristique (1920) which I assume means it’s comedy orientated. Back to Chopin: Polonaise No 6 in A flat which was played superbly by Lang Lang himself – a sterling performance I have to say. After the interval, Johann Sebastian Bach’s Allegro from Concerto No 1 in D Minor (is all Bach stuff in D Minor? ); the soloists for this were Lang Lang, Lucy Wong (aged 18) and Drew Steanson (aged 18). I’m puzzled – how can there be three soloists? Surely you’re a trio; anyway, I’m digressing. They were accompanied by Anthony Tat (13), Tom Zi Han Xie (13), and Rebecca Leung (12). Next, Daniel Ciobanu (aged 19) played a piece I’ve never heard of: Bacchanale from Suite No 3, composed by someone I’ve also never heard of: Constantin Silvestri. The piece looked and sounded singularly complicated though and I have to say, he played it magnificently. Etude Tableau in E flat minor by Rachmaninov was played by a 14 year old girl called Nino del Ser. To say she was brilliant would be quite an understatement. 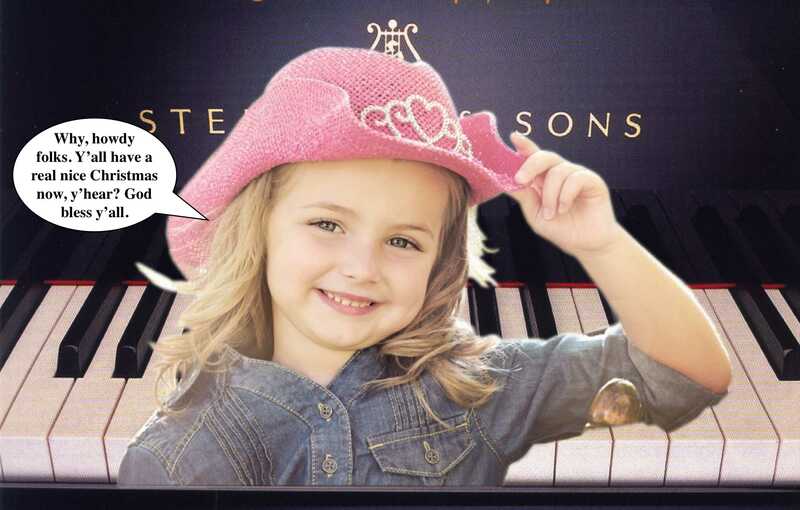 ‘Rachy’s’ music is among the most popular as fans of the 2nd and 3rd Concertos will gladly testify. Toccata in E flat minor composed by Aram Khachaturian was played by Artem Akopyan (aged 23). The penultimate performance was by the Piano Orchestra. This was extremely powerful – Allegro from Symphony No. 5 in C minor by Beethoven. There was an encore, but sadly, I can’t remember what it was except to say that its brilliance sticks in my mind. I’ve not heard of any likelihood of this concert being broadcast on television, although Classic FM radio may have covered some of it. Because of the anticipated likelihood that, I did what I would normally never do; I filmed some of it myself. It’s not done to a professional standard – just a few snippets with a hand held camcorder from my seat in the audience. It has to be said that it’s only just better than nothing, but it IS better than nothing because, as far as I’m aware, nothing is what’s officially available as a record of the event. The battery ran out in the middle of the Beethoven which is why I didn’t get the encore. There were professional television cameras in the venue, but I don’t know whether they were just to feed the large screen displays or if they were recording for future broadcast or commercial DVD. I hope it’s going to be at least one of those options, although I’m not holding my breath; there didn’t appear to be any sound recording equipment near the pianos. A representative from Steinway (on Marylebone Lane W1) was there and heartfelt thanks were delivered his way. Imagine the work involved in bringing, installing and removing all of those pianos. Finally, I think the world of classical music is so bright, we need sunglasses to view it and that is all thanks to Lang Lang who has single handedly inspired 40 million children in China (and other countries) to take up classical piano. So far, no rock or pop musician has ever made such an impact on young people, not even during the 1960s. On the down side however, I wonder what is going to become of all this talent in future when the kids grow up. With the best will in the world, classical music is a ‘minority sport’ followed by a tiny section of the world’s population. I suspect we could be flooded by a gargantuan amount of pianists that could exceed the audience numbers; but what do I know? 20 minutes of the concert. Our daughter was one of the ‘Lucky 100′ selected to play on stage with Lang Lang. Some of the soloists were very talented indeed and if I could pick out one child it would be 10 year old Faye Evans and her interpretation of Chopin's Nocturne. If you closed your eyes never would you imagine a girl so young was playing and could play so beautifully. She had my wife in tears. As I told some of the children after the show, Lang Lang had to wait until he was an adult to play the Royal Festival Hall so they have a headstart on him already ! Without a shadow of a doubt the best day of our families lives and something I would not have missed for the world. As for the cameras , us parents/families were informed the SB Centre were going to send us official photos and a copy of the DVD but despite my emails since the show I’ve not even had a reply. Mr C & Mrs X Hewitt , proud parents of Ms Y.Hewitt aged 8.